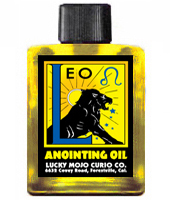 If you were born between July 23 and August 22, Leo is your sign. You are fair-minded, honest, and sympathetic, and naturally like to shine in the social spotlight. Your career, no matter what the field, may include elements of performance, public speaking, music, or the stage. You attract attention, but should learn to share it with colleagues. Your warm response to suffering among others wins many friends for you; charitable giving is important to you. Your career will be varied. Your greatest limitations in life are your impatience and restlessness. You have a magnetic personality and will do well to select friends and romantic partners who appreciate your charismatic qualities. Sunday is your fortunate day. Birthday -- July 23 - August 22. 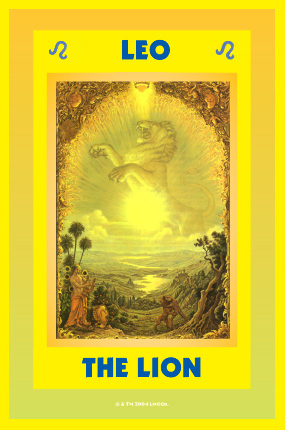 Keywords -- Noble, showy, egoistic, and generous. Anatomy -- The heart and the spine. Jewels -- Ruby, Sardonyx, Amber. Lucky Star -- The Sun. Lucky Colours -- Yellow, Gold. 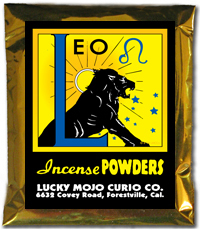 Order Leo Oil from the Lucky Mojo Curio Co.
Order Leo Incense from the Lucky Mojo Curio Co.
Order Leo Bath Crystals from the Lucky Mojo Curio Co.
Order Leo Sachet Powder from the Lucky Mojo Curio Co.
Order Leo Vigil Light Candles from the Lucky Mojo Curio Co.